Within CaptainCore, my WordPress management toolkit, I have a custom post type named captcore_website which stores site details via many ACF custom fields. The number of necessary custom fields seems to be never ending as I continue to expand functionality. Currently there are over 50 custom fields and my newest endeavor would require an additional 20 fields. With the additional fields I would be able to add support for staging websites to my management toolkit. Currently that’s not possible but it’s definitely one of the things I want to tackle this year. With so many fields, it’s time to look at improving the architecture. One option would be to split up the custom post type into two or more post types and relate them to each other using a relationship field. I consider that approach, however it doesn’t solve the issue with so much unnecessary bloat added to the wp_postmeta table. I stumbled upon a post by Iain Poulson about Managing WordPress Custom Tables with an Advanced Custom Fields Repeater Field. It inspired me to think of ACF and the data storage location as two separate things. I really like the idea of keeping all of the fields in one place for management purposes however break up where the data is stored for better performance and scalability. Most of these custom fields deal with environment details as shown below. Each environment, whether production or staging, should contain the same fields. It makes sense that these existing ACF custom fields could be cleaned up if I were to create a new custom database table to hold the separate environments. Generating the new custom table follows the same format as explained in My First Custom Table with WordPress. This new table is a quite a bit larger. I’m sure I’ll need add or remove columns later on but for now this is good enough. I didn’t yet create an upgrade routine so running captaincore_create_tables() manually over wp shell generated the new custom table. I admit I had to drop the table and recreate quite a few times to make minor corrections. ACF comes with many hooks and filters for developers. I settled on the filter acf/update_value and the action acf/save_post. I use the filter to disregard saving certain fields to the database. This keeps wp_postmeta table nice and clean. The code looks something as shown here. In my actual code the $fields_to_disregard array has over 40+ fields. // Disregard updating certain fields as they've already been stored in a custom table. Next I use the action acf/save_post to intercept the data and store it in the custom table. This is pretty much a hack as I wanted a make a single call to the database rather than assign fields individual. The proper way would be to handle the fields individual using the filter acf/update_value. Now when creating or updating a captcore_website post type, the related custom fields relating to environments will be managed within the custom table wp_captaincore_environments as shown here. The only part missing is populating in the custom fields from the custom table. Otherwise the ACF fields will save but appear empty on the backend. For that I used the filter acf/load_value to fetch data from the custom table where necessary. In order to fetch the correct info for the environment fields I did need to manually map out which ACF keys go with which environment and which database field name. 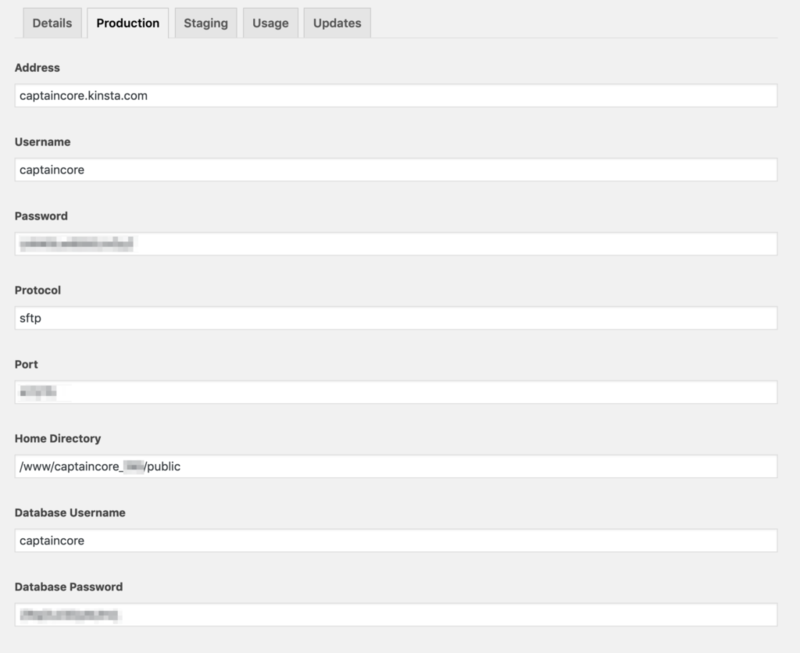 Might look a bit messy but considering it’s only used within my WordPress backend, I consider it acceptable. In order for that to work I did need to also adapt my database class with a new fetch_field function. Move existing data to custom table and cleanup. Populating the newly created table requires a good amount of resources. In order to make sure it ran successfully I wrote the instructions in a PHP file which was executed over command line line so: wp eval-file populate-environment-table.php --user=adminuser. The initial time it generates the new records in the custom table. If it doesn’t make it all the way through then running it again will update the existing records. After all of the data has been confirmed under the new table, the last step is to manually purge all of the post meta records. This again I handled through a WP-CLI custom php script. Create a file named purge-postmeta.php filled with all of the ACF custom fields which are no longer needed and run the following WP-CLI command wp eval-file purge-postmeta.php --user=adminuser. So was moving a significant number of custom fields to a custom table worth it? According to some crude performance testing, YES it was totally worth it. The largest query, which builds up an array of all websites, was taking 4.344 seconds. After the data was moved to a custom table this same query was reduced to 2.541 seconds. I would call that a success.